H. Blum, M. Stiemer, F.-T. Suttmeier, B. Svendsen, J. Unger. Coupled finite element simulation of electromagnetic sheet metal forming. In Proc. 2. Kolloquium Elektromagnetische Umformung, 29-40, Dortmund, 2003. Efficient Discretization of Green Energy and Grunsky-Type Development of Functions Univalent in an Annulus. In Funktionentheorie, Mathematisches Forschungsinstitut Oberwolfach, Report 1(1), 359, 2004. M. Stiemer, B. Svendsen, J. Unger, F.-T. Suttmeier, H. Blum. Development of multi field software solutions and their application for the optimization of electromagnetic high speed forming processes. In Proc. 1st International Conference on High Speed Forming, 93-104, Dortmund, 2004. M. Stiemer, M. Klocke, F.-T. Suttmeier, H. Blum, A. Joswig, S. Kulig. Validation of different approaches to coupled electrodynamic-structural mechanic simulation of electromagnetic forming. In Proc. 1st International Conference on High Speed Forming, 105-118, Dortmund, 2004. J. Unger, M. Stiemer, A. Brosius, S. Reese, B. Svendsen, H. Blum, M. Kleiner. Multifield, multiscale and multigrid modeling and simulation of electromagnetic metal forming. In Proc. 7th International ESAFORM Conference on Material Forming, 187-190, Trondheim, 2004. Error estimates for discretizations of coupled electromagnetic-mechanical problems. Identification of plastic material parameters with error estimation. Algorithmic formulation and numerical implementation of models for electromagnetic metal forming. In Proc. 8th International ESAFORM Conference on Material Forming, Vol. 1, 89-92, Cluj-Napoca, 2005. Fully-coupled 3D simulation of electromagnetic forming. In Proc. 2nd International Conference on High Speed Forming, 63-72, Dortmund, 2006. J. Unger, M. Stiemer, L. Walden, F.-W. Bach, H. Blum, B. Svendsen. On the effect of current pulses on the material behavior during electromagnetic metal forming. In Proc. 2nd International Conference on High Speed Forming, 23-32, Dortmund, 2006. Algorithmic formulation and numerical implementation of coupled electromagnetic-inelastic continuum models for electromagnetic metal forming. In P. Wesseling, E. Oñate, J. Périaux (Ed. ), Proceedings of the European Conference on Computational Fluid Dynamics, Egmond aan Zee, 2006. FE-discretizations of mixed elliptic-parabolic PDEs. ALE-based 3D FE-simulation of electromagnetic forming. On the influence of electric currents on plastic deformation. Generalized Blaschke products with Fatou components of arbitrary connectivity number. In Normal Families and Complex Dynamics, Mathematisches Forschungsinstitut Oberwolfach, Report No. 9/2007, 51-54, 2007. Finite-element discretisation of parabolic-elliptic interface problems. In Proc. 3rd International Conference on High Speed Forming, 129-140, Dortmund, 2008. Modelin and Simulation of 3D EMF Processes. In Proc. 3rd International Conference on High Speed Forming, 107-120, Dortmund, 2008. Phase-field-based modeling and simulation of solidification and deformation behavior of technological alloys. A. Große-Wöhrmann, H. Blum, M. Stiemer. A posteriori control of modelling errors in linear elasticity. M. Stiemer, A. Brosius, H. Blum, A. E. Tekkaya, M. Merklein. 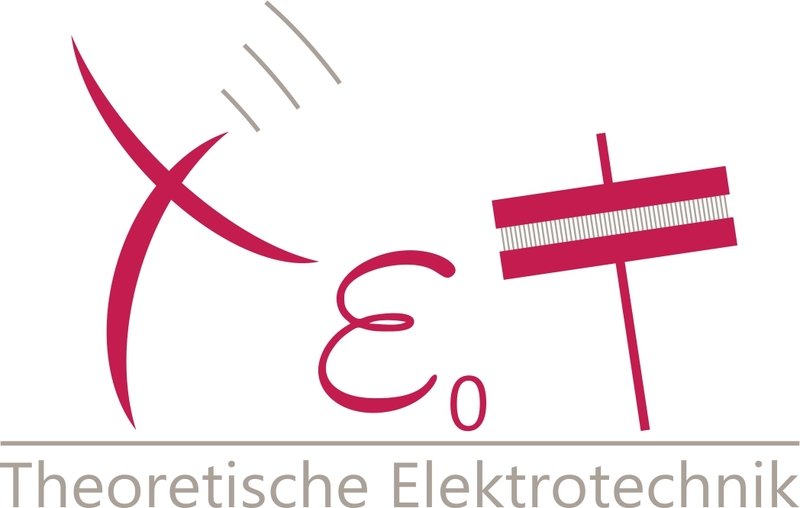 Blechmassivumformung – Potential, technologische Herausforderung und numerische Simulation der umformtechnischen Herstellung komplexer Funktionsbauteile mit Nebenformen aus Blechen. In: Simufact Engineering GmbH (Hrsg. ), Proceedings of the 12th Round Table – Simulation in der Massivumformung, Bamberg 2010, S. 221-238. M. Stiemer, A. Brosius, A. E. Tekkaya. Leichtbau und hochfeste Werkstoffe fordern die Umformtechnik heraus. MaschinenMarkt 37, S. 24 – 27, 2011. A. Brosius, C. Soyarslan, M. Stiemer, K. Isik, D. Fassmann, P. Sieczkarek, A. E. Tekkaya, H. Blum, M. Schaper, Fr.-W. Bach. Numerische und metallurgische Analyse der Werkstoffschädigung in der Blechmassivumformung. In: Tagungsband zum 1. Erlanger Workshop Blechmassivumformung 2011, DFG Transregio 73, Hrsg. : Merklein, M., Meisenbach Bamberg 2011. M. Rozgic, F. Taebi, M. Stiemer. Numerical optimisation of process parameters for combined quasi-static and impulse forming. Lars Ole Fichte, Kerstin Grutza, Marcus Stiemer. On the Use of Electromagnetic Reverberation Chambers for Expositure Tests of Cell Tissue. In: Proc. CEEM’2012/Shang ‚hai, IEEE, 2011. Lars Ole Fichte, Ronald Rambousky, Marcus Stiemer. Bedrohung militärischer Rechnersysteme durch EMP. Wehrwissenschaftliche Forschung Jahresbericht 2012, Bundesministerium der Verteidigung, 2012. Rozgić, M., Appel, R. and Stiemer, M.
(2013), Enhanced Identification of Process Parameters in Technological Forming. Rozgic, M., Jaraczewski, M., Stiemer, M.
Jaraczewski, M., Rozgic, M., Stiemer, M.
In Proc. Numerical Mathematics and Advanced Applications – ENUMATH 2013, Lecture Notes in Computational Science and Engineering 103, pp. 509-516, 2015.